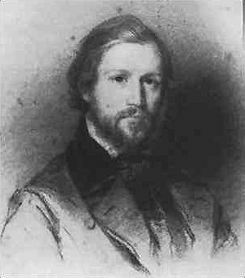 Charles-Valentin Alkan (1813-1888) was a composer and virtuoso pianist who lived in Paris and knew both Chopin and Lizst. He was an orthodox Jew, and the legend is that he died when one of his bookcases fell on him (also a hazard in academic life). This is Alkan’s transcription of the first movement of Beethoven’s Piano Concerto #3, in c minor. The piano plays both the orchestra and piano parts. I like how pianist Marc-André Hamelin, the master of this ferociously difficult repertoire, delineates the orchestral and solo voices. But the remarkable thing about this piece is clearly the extraordinary cadenza that Alkan wrote — it is bizarre and breathtaking. The piano enters at 3:06, the cadenza begins at 11:34.